India is popular for making variety of curry recipes and Indian curry recipes are world-famous for their mouth – watering taste and variety. Indian curries are famous for the wide variety, spices, rice flavor, blends, texture, beautiful colors and delicious taste. Curry refers to all the dishes, such as soupy, gravy, thick curry, medium spicy curry and so on. Usually either a tint of sour taste or a sweet flavor is found in Indian curry recipes. Every part of the country is having a different way of preparing the dishes along with the different and unique ingredients. In India, you can see a lot of variety in both vegetarian and non-vegetarian curries. Almost 25 spices are used in making Indian curries. They are used in different combinations. Garam masala is a famous blend of spices. Popular spices include turmeric, chilly, ginger, coriander, cloves, cinnamon, peppercorns, cardamom, cumin seeds, garlic, saffron, mace, fenugreek, caraway seeds, and poppy seeds. Lime juice, tamarind, tomatoes, tamarind, kokum and yogurt is used to give sour taste to the dish. All the spices are herbs are freshly prepared by grinding on stone. They are cooked in ghee or oil. The mixture of onion, garlic, ginger, tomatoes is used as a base to these spices for cooking. To make the curry rich coconut milk, cream and dry fruits are added. They use herbs once the curry is cooked for decoration, seasoning and aroma. Rogan Josh: It is a curried lamb originated in Kashmir but also popular in Punjab. Medium spicy the red color comes from tomatoes and red pepper than red chilies. 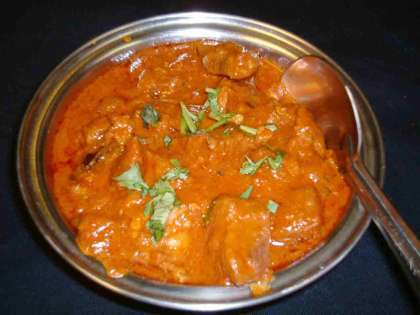 Punjabi curries: Punjab is famous for the spicy and rich food especially currries. They include matar paneer, sarso ka saag, gobhi matar, dal makhni etc. Saag: Saag refers to the green leafy vegetables such as spinach, green mustard etc. North Indian curries: The famous ones are aloo palak (spinach and potatoes), Dum aloo(whole potatoes), kofta, navratna korma, palak paneer(spinach and cheese), aloo gobhi (potato and cauliflower)and baingan ka bharta( brinjal). South Indian: They make use of spice and vegetables. Coconut is widely used in some or the other form. The famous curries are sambhar, rasam etc. Dals and lentils: They make use of pulses like moong(gram), masur dal, kali dal, rajma, and chana dal which could be eaten with chapati and rice. 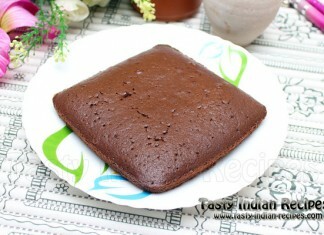 Chocolate Brownie Cake Recipe is made from all purpose flour, coca powder, butter, sugar and eggs. It can be made in 25 minutes and taste delicious.